On March 12th and 13th, the Chinese Chamber of Commerce for the import and export of fashion and textiles (CCCT) organized its 6th successful China & Asia Textile Forum. 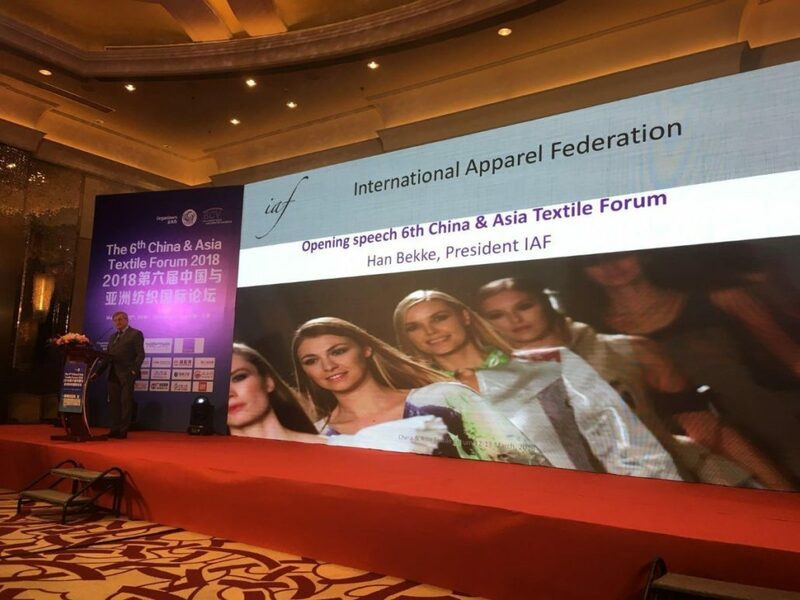 CCCT is the International Apparel Federation’s (IAF) Chinese member and the Forum’s opening speech was given by IAF President Han Bekke. 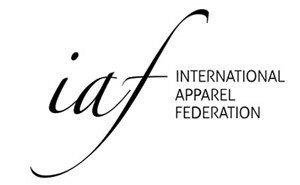 Bekke related IAF’s tagline ‘Creating smarter, stronger and more sustainable supply chains through international collaboration’ to the topics of the Forum. It became obvious that the Chinese apparel and textile industries are rapidly growing smarter, stronger and more sustainable. Mr. Cao Jiachang, Chairman of CCCT and Vice President of the IAF, highlighted three major developments in the Chinese apparel supply chain. Firstly, he spoke about the creation of smart apparel factories. He continued with the One Belt, One Road initiative, where China invests heavily in apparel industries in surrounding Asian countries. Finally, he discussed the rapid development of the Chinese domestic market leading to sophisticated retail concepts and the rise of apparel imports. His statements were reinforced by the words of Mr. Justin Huang, President of the Taiwan Textile Federation (TTF) and also IAF Board Member, who told the audience of 250 delegates that the power of the Chinese apparel and textile industries is rooted in its people’s skills. Mr. George Zhu, the President of the Chinese € 6 billion apparel and textile group Orient International, demonstrated through his account of the global expansion of this group to what success this power can lead.